Capturing the essence of life and presenting the joy, sorrow, and achievement in creative ways is what lifts us above the drudgery and pain that so often defines our lives. Our purpose may not be carved in stone, but we can focus our thoughts, our words, our actions, and our habits into making a difference every day. The current economic environment affords an excellent opportunity for Black-owned businesses and consumers to consider how they might engage in cooperative economics. Ujima: Collective Work and Responsibility -- Are we afraid of success? We must use all of our resources to galvanize our efforts into collective work and responsibility... unless we are truly afraid of success. Are your circumstances defining who and what you are? Each of us must determine to define ourselves and control our responses to the circumstances we encounter -- with just one minute. We invite you to consider with us the principles of Nguzo Saba over the next seven days. 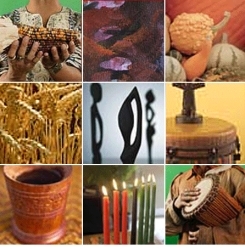 These principles represent values that can strengthen our lives, our families, and our communities, whether you celebrate Kwanzaa or not. 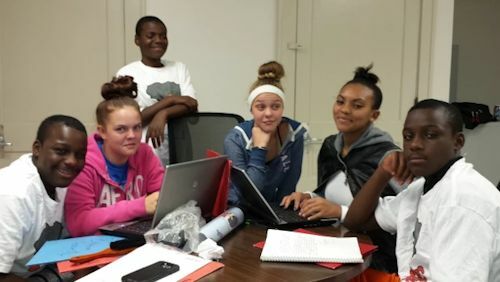 A group of urban teenagers from the south side of Columbus, OH have teamed up to launch a start-up business venture to learn entrepreneurship, leadership, business and finance skills they plan to carry on with them to college and beyond.